Tantrum Theater was founded in the fall of 2015 by Ohio University’s College of Fine Arts. The theater is a professional company and serves as a training ground providing apprenticeships for students in the Theater Division as well as an artistic home to professional artists across the nation. The name Tantrum Theater comes from a group of Ohio University graduate students who discovered that one of the collective names for a group of bobcats is a Tantrum. The mascot of Ohio University is the bobcat. Tantrum’s mission is to create and propel forward a resident professional theater company and training conservatory in Dublin, Ohio in a partnership between the City of Dublin, Dublin Arts Council, and the Ohio University College of Fine Arts. 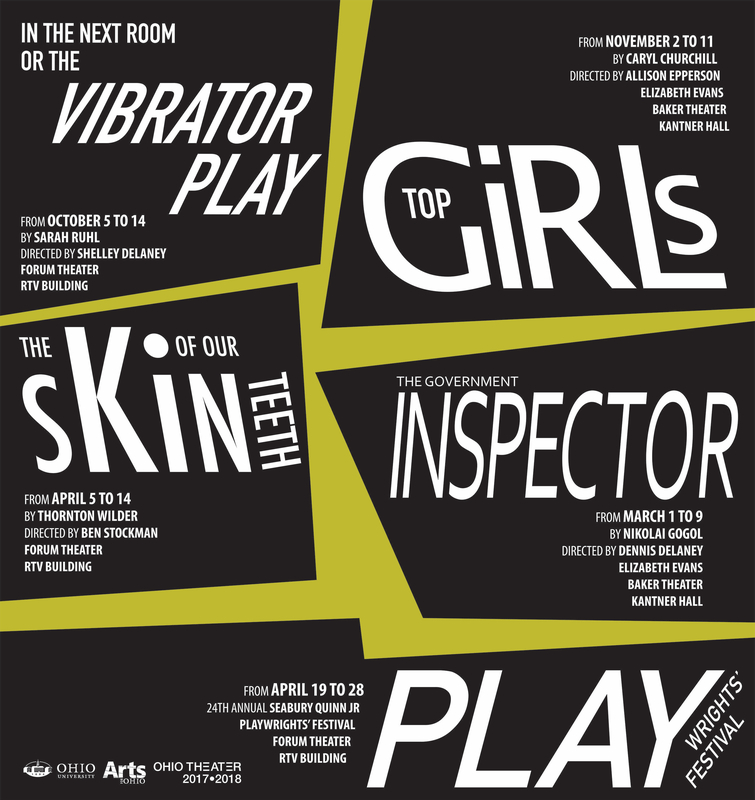 In the summer of 2017, Tantrum Theater featured three exceptional plays, 55 separate performances, and a slate of new play readings, in the Abbey Theater, Dublin, Ohio between May 30 and August 19. Tantrum’s second season opened with A Midsummer Night’s Dream, by William Shakespeare, directed by Tantrum’s Artistic Director, Daniel C. Dennis. Included in the acting company are three BFA actors, four MFA actors and one recent alumnus of the BFA program. Then, the critically acclaimed musical Caroline or Change, written by Tony Kushner, with music by Jeanine Tesori, and directed by Robert Barry Fleming. This musical debuted on Broadway in 2004 and was nominated for six Tony Awards, including Best Musical. With its moving rock, gospel, and klezmer score, this magical and timely musical is a riveting statement addressed to a nation still gripped by inequality. Included in the acting company are two BFA actors. Finally, timed to coincide with the annual Dublin Irish Festival, Into the West, adapted for the stage by Greg Banks, from the screenplay by Jim Sheridan, and directed by Jen Wineman. With just three actors playing sixty roles, and with live music throughout, Into the West bursts with imagination and heart. A BFA actor and an MFA actor served as understudies for this demanding play. Tantrum’s second season also included “Rising Voices,” a new series of play readings aimed at providing a space for plays in-development, plays not often produced, plays being considered for future season programming and plays Tantrum loves and wants our audiences to hear out loud. The 2018 Summer Season will be announced later this year. All shows will be performed at the Abbey Theater, Dublin Rec Center, 5600 Post Road, Dublin, OH 43017.